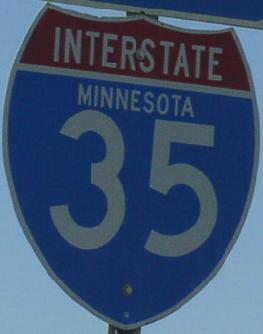 Interstate 35E is one of two paths that Interstate 35 uses to go through the Minneapolis-St. Paul Metro Area. Just line in the Dallas-Fort Worth Metroplex, Interstate 35 splits into I-35E & I-35W. When the AASHO started to remove the suffix routes from the interstate system, these were allowed to remain. While in Minnesota, I-35E is multi-plexed. ...Interstate 94, at St. Paul. ...U.S. Rt. 10, at St. Paul. ...U.S. Rt. 12, at St. Paul. ...U.S. Rt. 52, at St. Paul. 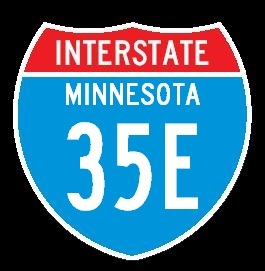 In Minnesota, Interstate 35E crosses the following highways. Interstate 494, at Mendota Heights. Interstate 94, at St. Paul. Interstate 694, at Little Canada. Interstate 694, at Vadnais Heights. Info on the parent highway for I-35E. 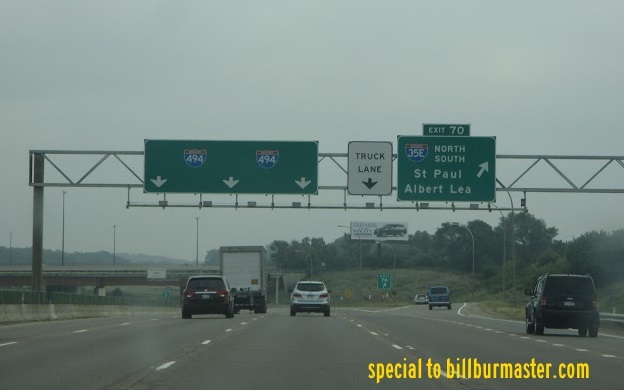 A BGS on EB I-494.